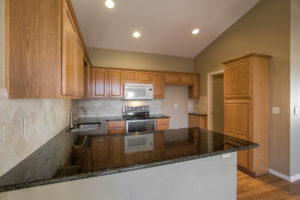 Don’t miss our new listing in Asbury Villas at 15609 S Annie Street, Unit 4401! This move-in-ready ranch boasts an open floor plan and 10-ft ceilings. 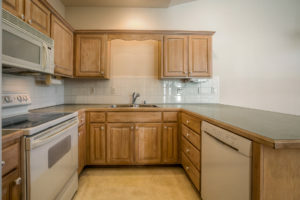 Enjoy maintenance provided living from this 2-bedroom/1.1-bath villa. Other significant updates include newer flooring and an air conditioner that is only 5 months old. You’ll enjoy the kitchen pantry, over-sized laundry room, walk-in closet, linen closet and custom built-ins in the garage. The home is located on a private street with no drive-through traffic. Enjoy the generous front lawn and many community events! Call resident expert Ralph Apel at 913.579.4529 for showings and to learn more about amenities! Don’t miss this premier Asbury Villas listing! This 1-bedroom, 1.1-bath villa offers a covered patio, hardwood floor in the kitchen/eating area and a walk-in closet in the master bath. 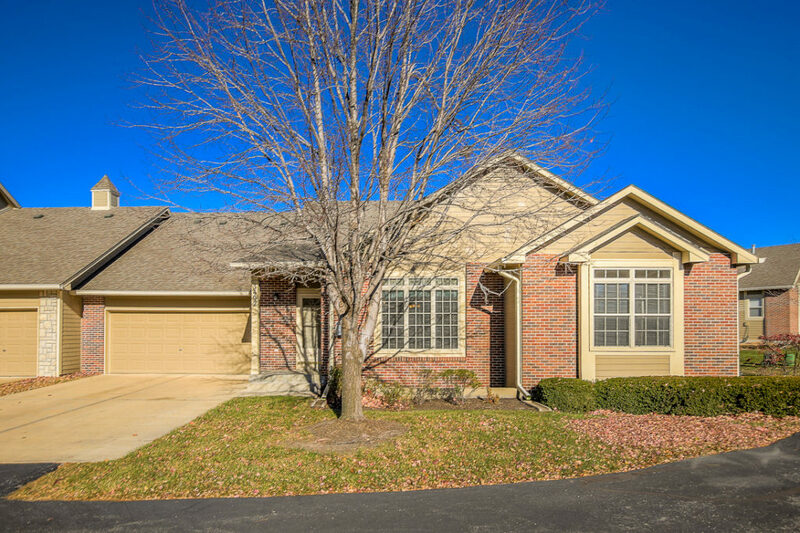 Plan to visit 18560 W 158th Place, Unit 5000 TODAY! The popular Asbury community is located just south of 151st Street and a short distance from I-35. 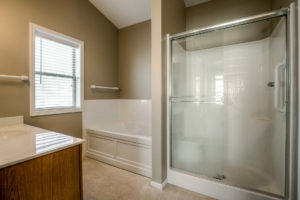 The location is convenient to everything, yet nestled back for privacy. A pond and walking trail enhance the natural beauty of the community. This villa sits well back from the street for privacy. Additionally, it boasts LOTS of green space and a pretty back patio. The property faces southeast, which helps with warmth in the winter and coolness in the summer. Move right in! 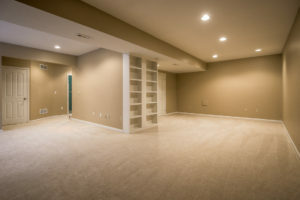 The interior was freshly painted for you! The maintenance provided community offers lots of social activities and a year-round pool! 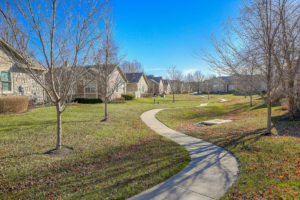 The HOA covers maintenance and insurance on the outside of the building, lawn care, snow removal, walking path, club house and even water and sewer! Reach out to resident expert Ralph Apel for a tour or to learn more about Asbury Villas. Ralph and his wife, Elaine, have enjoyed living in the community for 7 years! 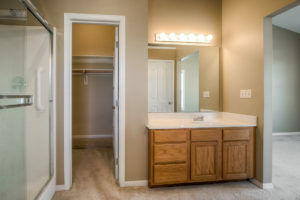 Asbury Villas is a popular maintenance-free community for good reason! 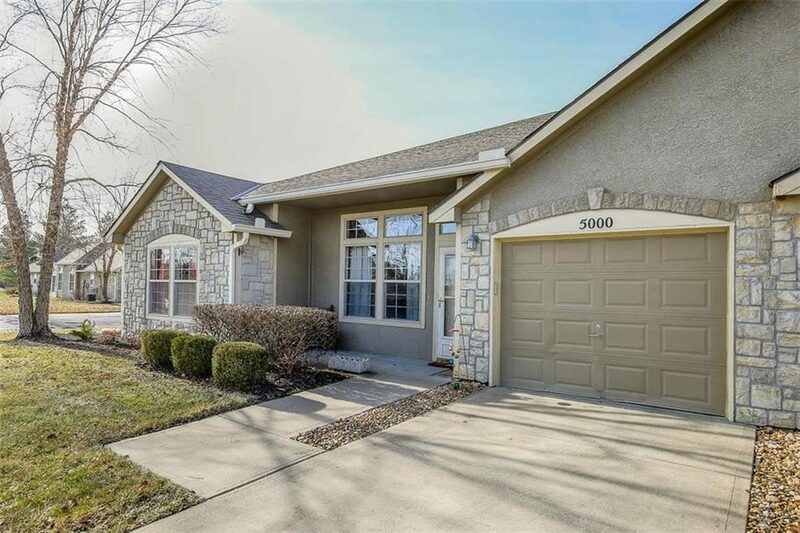 Residents appreciate a convenient south Olathe location that is tucked away on beautiful grounds with a walking trail and pond. Located just minutes from I-35 and area shopping and dining, it’s quick and easy to be out and about! 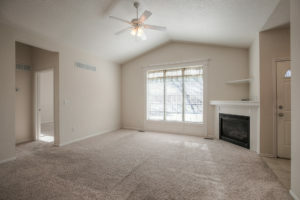 Our new listing at 18627 W 157th Terrace, Unit 3402 is a 3-bedroom, 2.1-bath villa. 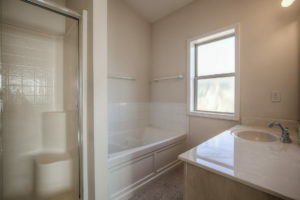 Two of the bedrooms are located in the finished lower level, as is one of the full baths. Curl up around the gas fireplace in the living room or carry your gathering to the basement for movie-watching or game night! 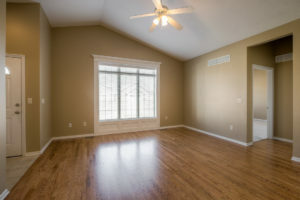 This property also features hardwood floors in the dining area. And, a 2-car garage offers protected parking as well as additional storage. The back patio open to green space is perfect for quiet time or visiting with friends and family. Take a quick aerial tour of Asbury Villas to experience the privacy and beauty of this community. Provided maintenance includes: trash removal; lawn care; snow removal; upkeep of common areas and the year-round pool; water for sprinkler systems and exterior building maintenance. To promote a sense of community, Asbury residents gather regularly for scheduled events like bunco, poker, coffee and line dancing. A monthly social calendar keeps everyone involved! Amenities also include and exercise room and club house. For your convenience, we will be hosting an OPEN HOUSE at this property Sunday, December 10 from 2-4PM. You can contact resident-expert Ralph Apel at 913.579.4529 for a tour! Ralph and his wife, Elaine, have been members of the community for 6 years! You can always reach BGG at 913.402.2599. Here’s your opportunity to buy in Asbury Villas! 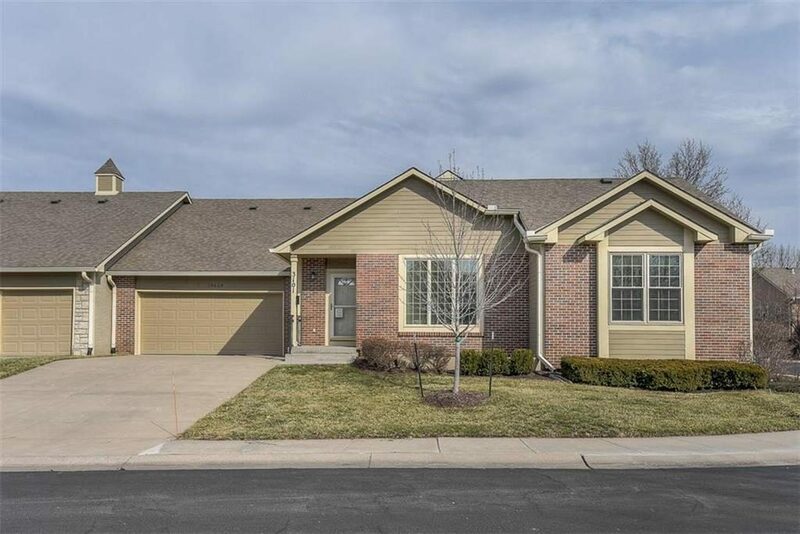 This sought-after community offers maintenance provided living from a convenient, yet tucked away location in south Olathe. 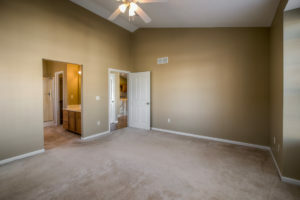 This 2-bed/2.1-bath property at 15780 S Sunset Drive, Unit 600 includes a finished lower level and 2-car garage. 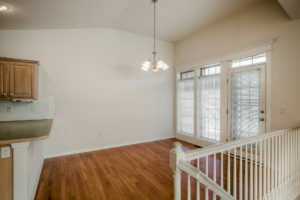 Additionally, this reverse 1.5-story ranch boasts gleaming hardwood floors in the kitchen/dining area and living room, as well as neutral paint tones. 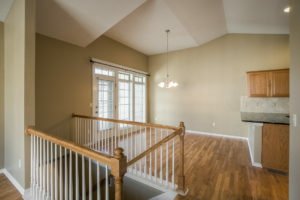 You’ll love how the large windows and vaulted ceilings enhance the open feel of this home. And, the patio is the perfect spot for morning coffee! If you’re not familiar with Asbury Villas, take a few minutes and enjoy this aerial tour. 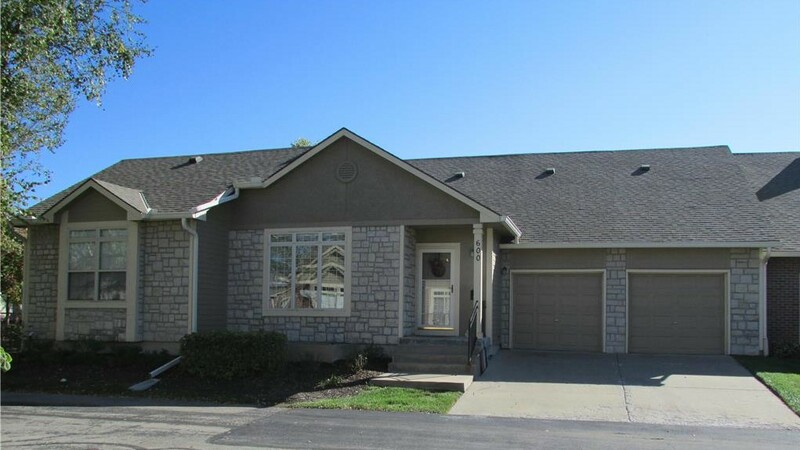 You’ll see the well-maintained grounds that include beautiful landscaping and small pond. This villa is in a prime spot in the community – just steps away from green space and the walking trail! Residents gather regularly for scheduled events, like coffee, line dancing and bunco. Moreover, the indoor/outdoor pool is open year round! 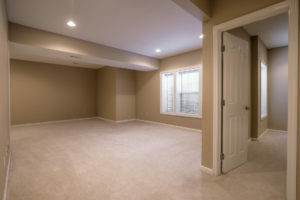 Amenities also include a club house with exercise room. 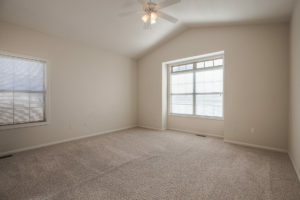 The Asbury community is located south of 159th Street, west of Ridgeview, providing easy access to area shopping and dining, as well as proximity to I-35. Also, maintenance-provided care includes: lawn care; snow removal; roof, porch and gutter repair and maintenance; exterior painting; upkeep of common areas and pool; trash removal; water for sprinkler systems and exterior building maintenance. Reach out to Ralph Apel at 913.579.4529 to see this property and learn more about Asbury. He and his wife, Elaine, have lived in villas for 6 years, and Ralph has expert knowledge on the community and market to share. You can also reach a member of BGG anytime at 913.402.2599. Thanks for looking!